Gaza-ruler Hamas has minimized its Gaza-based opponent’s attempt to endanger the new relationship with Cairo after the Salafi group warned Hamas not to prevent its fighters from traveling to Sinai to fight Egyptian security forces. The warning came in a written statement by a group calling itself the Jihadi Salafists after a Salafist jihadist blew himself up among a group of Hamas border guards on the Gaza-Egypt frontier last Thursday. A Hamas soldier died of the injuries he sustained in the suicide attack. Hamas said the fighters were trying to infiltrate into Egypt’s Sinai. According to the statement, the attack was a statement of intent over future attempts to “wage jihad” on the nearby Sinai peninsula in Egypt, reported the New Arab. “This [attack] was notable in the way Hamas forces dealt with the jihadist operation against them. The person who committed suicide was 20 years old, and it seems that his mind was filled with an extremist Islamist ideology that has controlled his thinking,” Hisham Saleem, a leading security analyst in Gaza, told the New Arab. He blew himself up among a group of fellow Palestinians, who share with him both faith and citizenship, Saleem said, adding that “It is clear that the Palestinian side is very serious in applying recent understandings with Egypt”. “I believe that the security forces here will rein in such fanatical groups,” the analyst said. Hamas has renewed ties with Cairo after a high key delegation of Hamas leaders held talks with Egyptian officials in Cairo last June. 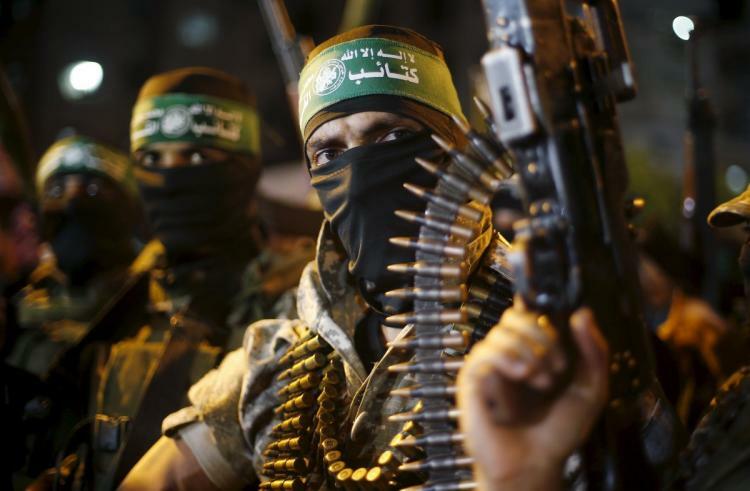 Hamas was told to secure the border crossing at Rafah and hand over several militant suspects hiding in the enclave. Hamas has begun construction of a safe area at its border with Egypt. The buffer zone is designed to prevent Islamists’ infiltration into the Sinai where the Egyptian army has been battling militancy. Cairo accused Hamas of providing a safe-haven for militants.